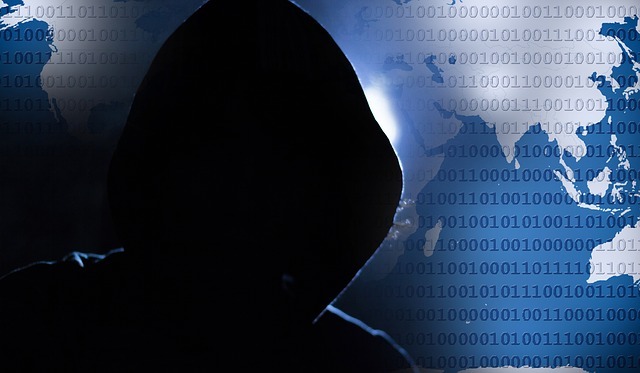 This ransomware has already affected high profile organizations in Spain, UK, China and other countries including India. These organizations include clinics and hospitals in UK, telecom, gas, electricity and other utility providers. Many universities in China have also been targeted. In Quick Heal Security Labs, till now 3000+ WannaCry ransomware attacks are detected out which around 2450 are from India. 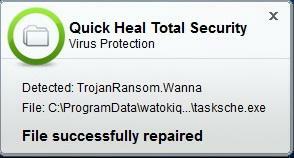 Quick Heal has successfully defended these cases of attacks from compromise and data encryption. Attack is carried when systems are connected to network using SMB services. These services are attacked and exploited by “EternalBlue” exploit, planting WannaCry Ransomware causing the file encryption after successful execution. 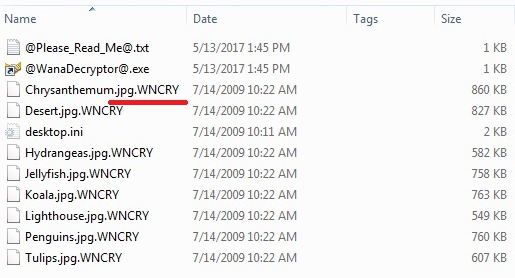 When files are encrypted, it appends “.WNCRY” extension to all encrypted files. After successful encryption it shows below warning message containing instructions to follow to recover the files. The countdown timer is shown to create panic so as to make the victim pay the demanded ransom. Otherwise it threatens that all encrypted data would be deleted. 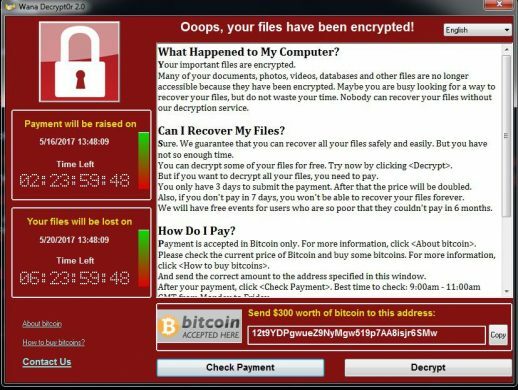 WannaCry shows ransomware warning message in the language of current region. 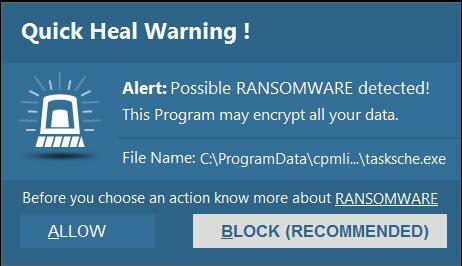 How Quick Heal protects against WannaCry Ransomware? 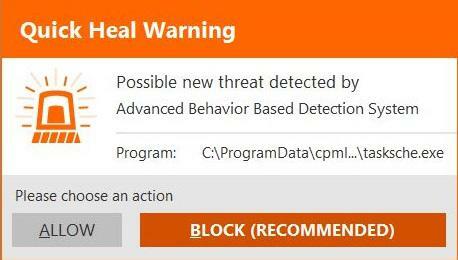 Quick Heal Advanced Behavior Detection System proactively detects this ransomware activity successfully based on its behavior. User needs to click on BLOCK button in this situation to stop encryption activity. Take regular back up of your important data and periodically check the backup restoration process to make sure files are getting properly restored. Ensure that security solutions are switched on all nodes of the network. Always keep installed security software up-to-date with latest signature updates. Perform Full System Scan using installed security software. Avoid clicking on links and opening attachment in emails from unknown and suspicious sources.